What happens when you find your ball deflated and there's no pump or needle in sight? You could always cancel your plans of kicking around the soccer ball or starting that pickup football game in the park. Better yet, you could be terribly clever and find another way to get air into the ball. 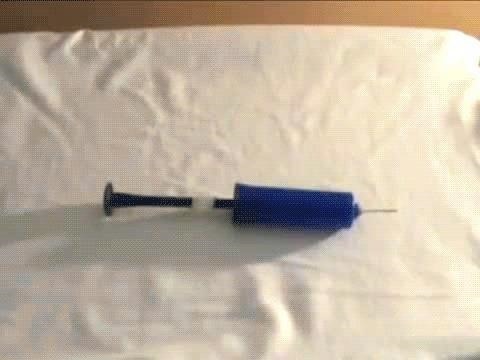 From a pen to a balloon to a gas station, there are ways to inflate it. While balls all have an ideal pounds per square inch or psi (a term we all learned during "Deflategate"), at this time, all we care about is getting some air into our balls to increase the air pressure. For future reference, however, the target psi is 7.5 to 8.5 for a basketball, 8.7 for a soccer ball, 4.26 to 4.61 for a volleyball, and 12.5 and 13.5 for a regular pigskin football. Exercise balls range in size, so it's impossible to give you a target psi for them. But we don't need to be so precise at this time though. Any air will do! If you haven't already wasted your entire supply blasting your friends in the face with freezing cold compressed air, you could use this standard office item to fill up a deflated ball. The most difficult part about inflating a ball without a pump or needle is finding something that will fit inside the small air hole. Well, with a compressed air canister, you have the perfect solution. The small straw that comes with the canned air will fit inside the ball's hole perfectly. I'd suggest doing small bursts of air since the can will chill up rather quickly. This probably won't work if the ball is completely flat, and it would be pretty expensive to keep using this trick, so make sure it's just a one-time thing. Another repurpose idea is to use air from a balloon. As long as you have something to pass the air between the two, you've got an instant DIY solution. If you have a pump that's broken, the needle will still work. If you don't have one, though, you can use a very thin straw or ... a coffee stirrer. As for the balloon, the bigger and stronger the better. A punch balloon would work very well. Blow up the balloon as much as possible. 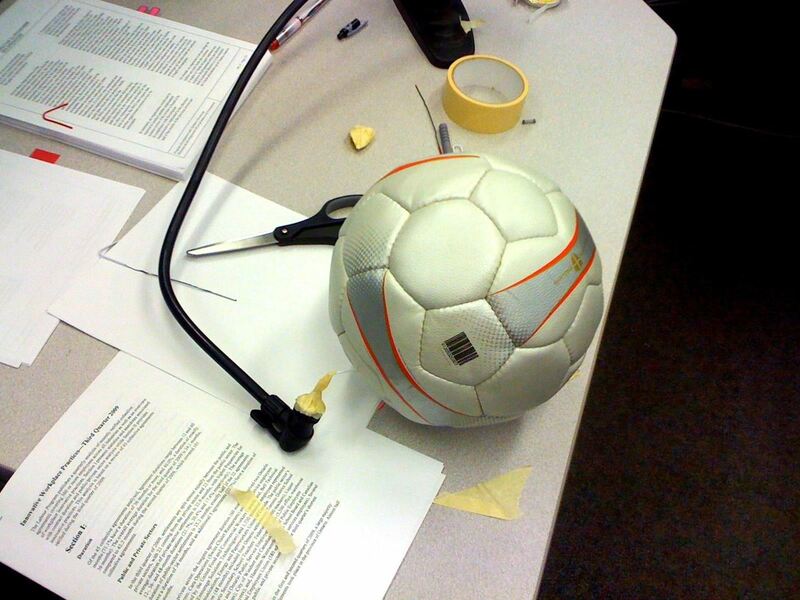 Then, using a paper clip or clamp, close off the balloon's lip to keep the air inside. 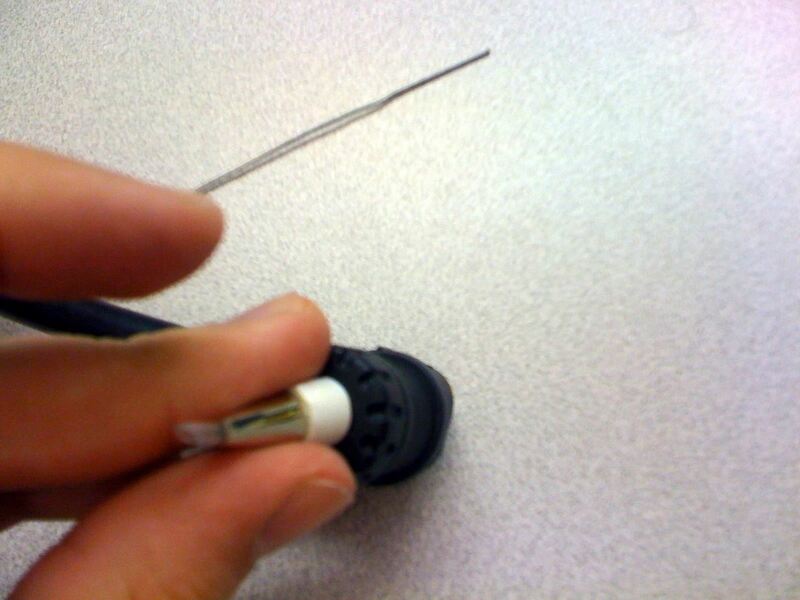 Next, attach the pump needle or straw/stirrer to the balloon and insert the other end into the ball's hole. Release the paper clip or clamp, and the air will begin to transfer into the ball. You can squeeze the balloon to make the air transfer faster. We ourselves have not tested this trick out. 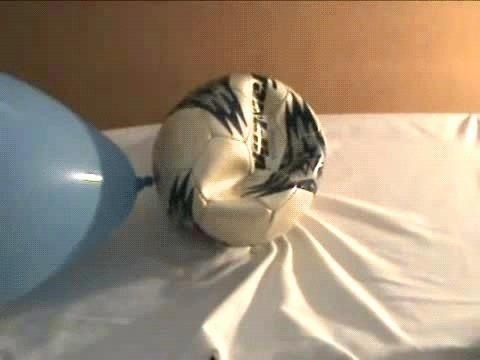 Commenters on the video have questioned the validity of this hack, noting that the balloon doesn't appear to be getting any smaller, though the ball is filling up very well, as you can see below. So if you test this one out, let us know if it worked or not. As said, one of the biggest challenges, if you're missing a pump needle, is to find an adequate stand-in. Well, if you have a pen nearby, you've found one. 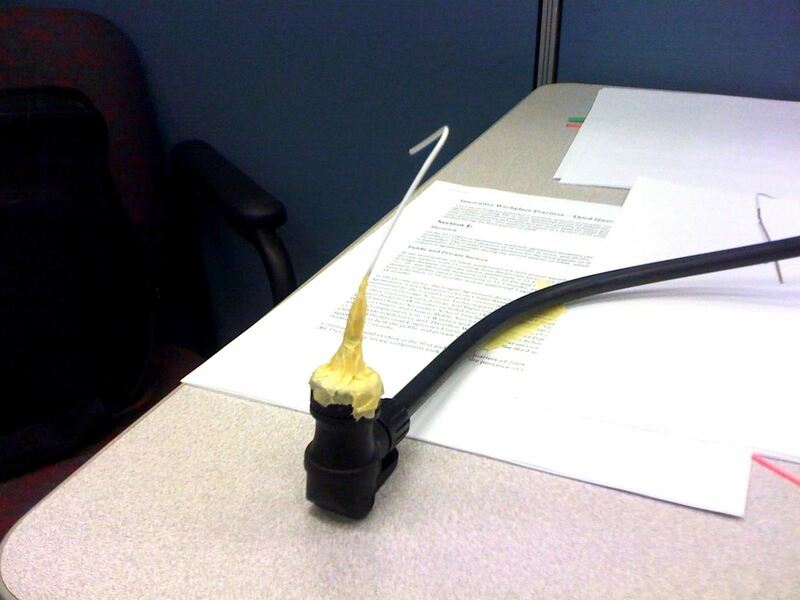 For this hack, courtesy of Wendel F., you'll also need a paper clip, scissors, and tape. 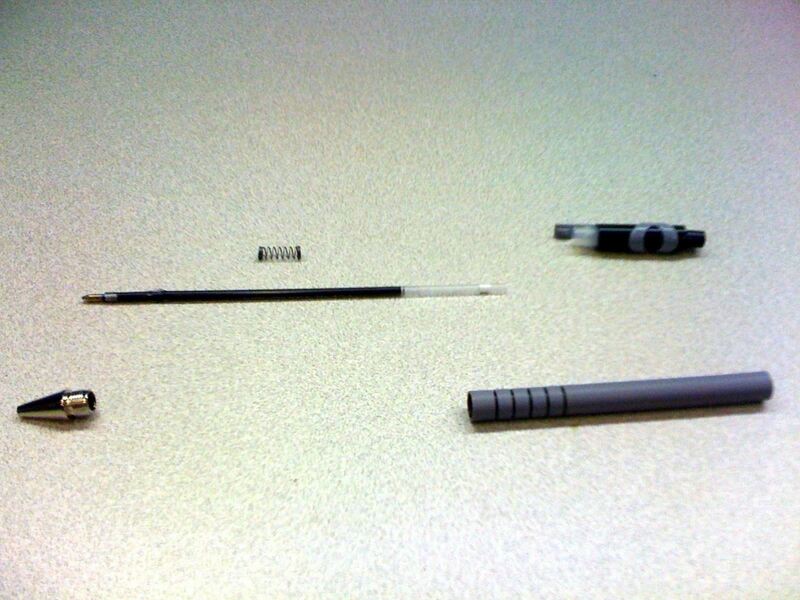 The first step is taking apart the pen and separating the ink tube. Drain the ink by removing the writing point. 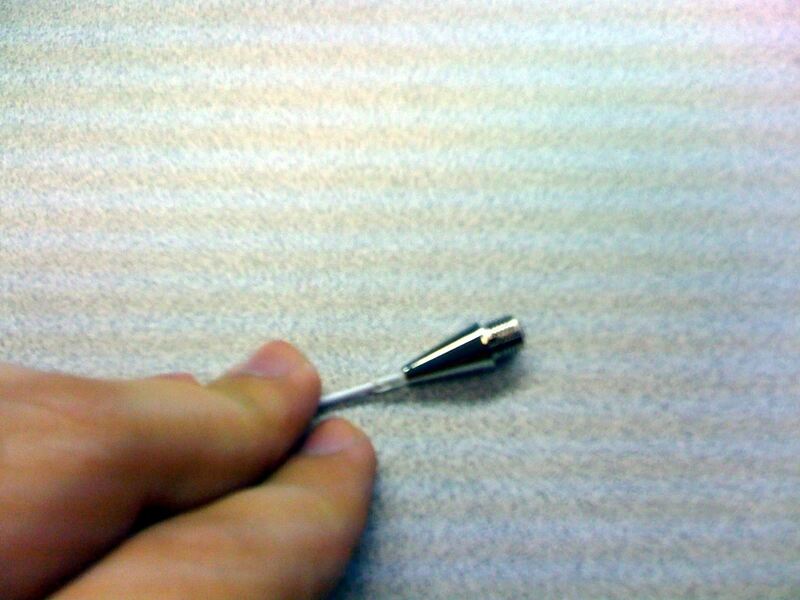 Keep the writing cap nearby, as this will be used to hold your "needle" or entry point into the pump. With your scissors, cut a small piece out of the ink tube and insert it into the writing cap. And the end result should be a pumped up ball. Note: You'll probably need help holding this fragile contraption together, but with teamwork, it should be fine. I've had my fair share of flat tires, and as a lesson learned, I now make sure to always have a few quarters in my car for such emergencies. 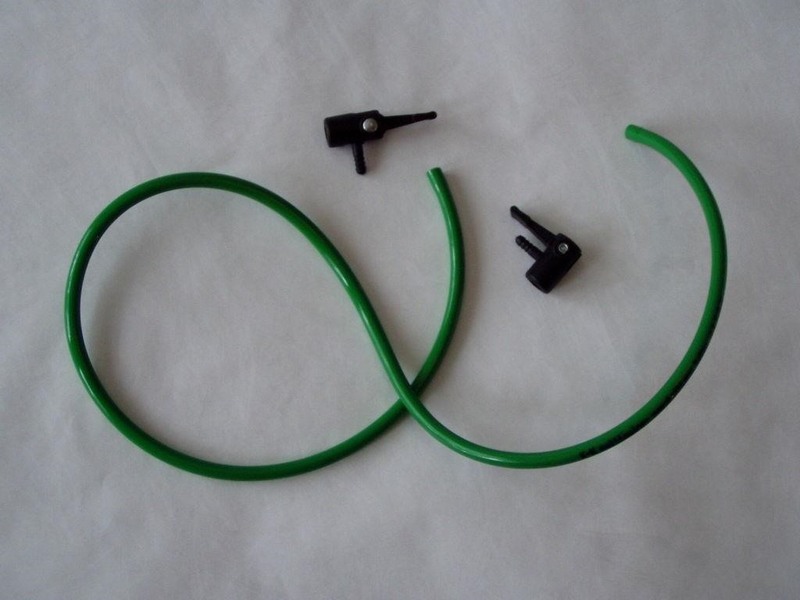 Many gas stations have air pumps that you can use to fill up your deflating tires. But, if you have a pump needle or straw/stirrer with you, you can also use these powerful pumps to inflate your ball... or rather balls. You can try and fill as many as you can before your time runs out. Note: In California, since 1999, gas stations have been required by law to provide free "water, compressed air, and a gauge for measuring air pressure" if you've purchased gasoline. So keep that in mind next time you're at the pump. Speaking of being out and about, you can also call into your local bike repair store or shop to see if they'd be willing to use a bike pump to inflate a ball or two for you. Assuming they're not busy, a local shop may be amenable to such a request. Of course, out of courtesy, you should consider buying something small in exchange for their kind accommodation. You can always use a reflector or decal, right? We've seen photos of this in action, so it's totally possible, and Instructables user Aleksi has a tutorial on it. While his guide was geared toward transferring air from car tires to bike tires, it's not totally plausible to do so since bike tires require more psi than car tires, but it's perfect for filling up a tiny ball a tad. Just buy an air hose, a couple Schrader chucks, and an inflating needle, and keep them handy. Alex Zakkas also has a tutorial on this, too, with a slightly different design and few different parts that may actually work better for you. As you can see, there are a number of clever ways to get air (and air pressure) back into a ball. Don't be discouraged because your basketball, football, or soccer ball is flat. Sure, your pump is broken and you can't find the needle, but that's okay. Grab a pen or a straw and go into MacGyver mode. You'll be playing ball again in no time! Compressed air is the best choice by far. But, not every one has that laying around. At least, not in the form that they might be thinking. 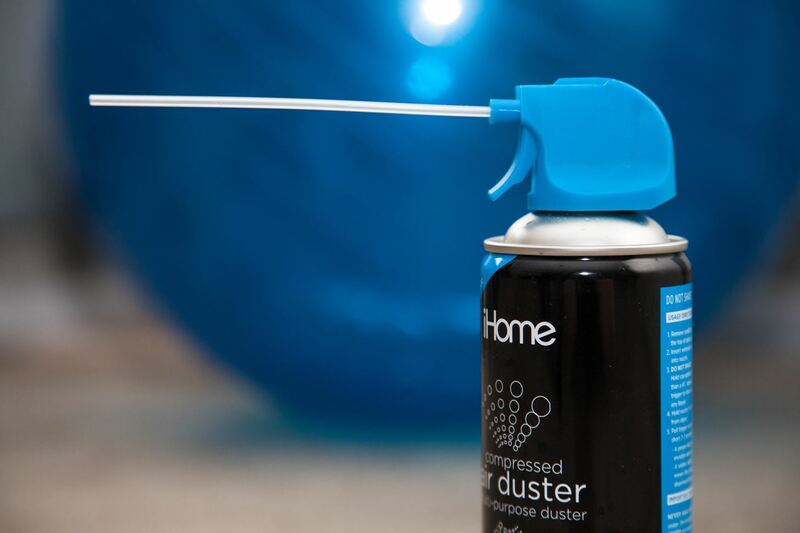 In a pinch, you can take any aerosol product, turn it upside down and spray it for a couple seconds until the substance stops coming out. Ta-da! You have compressed air (gas). Fair warning, this is not oxygen and it "can be known to the state of California," well, you get the point. You can also use this method to clean the tip of the nozzle. Very useful for ensuring longevity of a spray paint can. the california part got me weak though.